Award-winning writer Theodora Bishop has written in a vast range of genres and types of prose. 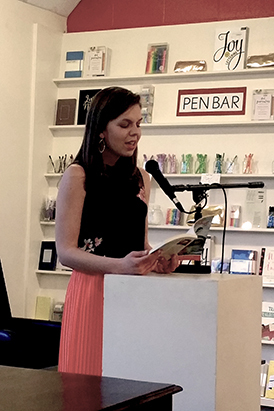 Only 28 years old, Theodora Bishop is a Best New Poet and Pushcart Prize nominee; she has been published in more than two dozen online and print journals and magazines; and early this year she published her first novella, On the Rocks, with Texas Review Press. While Theodora came to UA to focus on poetry, she now writes across genres spanning from long-form fiction to prose—and she even experiments with fairy tales and fantasy fiction. 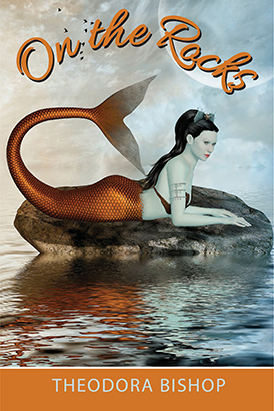 The cover of Bishop’s first novella, On The Rocks. As a writer with a thorough creative process, Theodora often finds unifying shared human experiences, such as feeling embarrassment or pride, to be the pulse of her writing process. Just months after publishing her first novella, Theodora is already hard at work on two other publications.